“It is worth reminding citizens of this country that this is another failed promise by the O’Neill Government." Opposition Leader Patrick Pruaitch said today the often-repeated view of Prime Minister Peter O’Neill that the 2017 general election was one of the “most peaceful” is a myth that has been totally debunked. Mr Pruaitch said the authoritative report by a 2017 PNG national election Observer Team, led by the Australian National University, documented 204 deaths due to election-related violence, including 84 that occurred between the issue of writs and commencement of polling. In a statement, the Opposition Leader supported the call for a Commission of Inquiry into the 2017 general election by former Prime Minister Sir Mekere Morauta. “Prime Minister O’Neill has a convenient lapse in memory in rejecting this call for an open inquiry,”Mr Pruaitch said. “The Prime Minister himself told Parliament, at its opening session after the 2017 general election, that serious election issues needed to be addressed. “It is worth reminding citizens of this country that this is another failed promise by the O’Neill Government. Mr Pruaitch said this was not the only election-related promise made by Mr O’Neill that has been broken. Last year the Prime Minister promised a full inquiry into allegations of illegal conduct in Southern Highlands during the 2017 national election, after which several properties in Mendi connected directly to the Prime Minister were destroyed by the public. “The 130-page ANU report also placed a spotlight on the role of the security forces and police with some 60% of the Observer Teams witnessing police brutality, including the use of excessive force. This was reported by all the 13 Observer Teams in the Highlands. “In Hela, Eastern Highlands and NCD election observers witnessed security personnel driving vehicle sat speed into crowds to disperse those who had gathered. In several locations’security personnel fired warning shots or shots directly into gathered crowds. Mr Pruaitch said it was too much to expect that Prime Minister O’Neill would honour his promise to Parliament to conduct a full inquiry into the 2017 general election because the findings would confirm that these law breakers were acting on behalf of the Peoples’ National Congress. · -About 10% of voters interviewed by the Observer Teams said they had voted multiple times as against 20% voting multiple times in the Highlands. 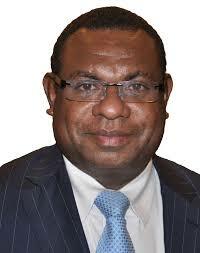 Highlanders in this group each voted an average of 18 times, while other PNG citizens rarely voted more than twice. · -65% of citizens interviewed after polling believed conditions in the 2017 elections were worse than in 2012 and 2017 and less than half (46%) said they had been freely able to exercise their vote without undue intimidation. “In any other democracy such occurrences would have resulted in the election being declared a failed election,” Mr Pruaitch said.